The Americans love them “chewy”, as they say, but even crunchy American Cookies are amazing. 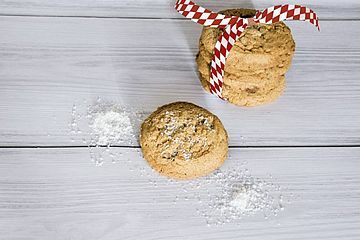 Master confectioner Petra Preinfalk shares the secret behind the American Cookies and gives tips for making the quintessential cookie. They owe their chewy character to brown sugar, a typical ingredient of American cookies. 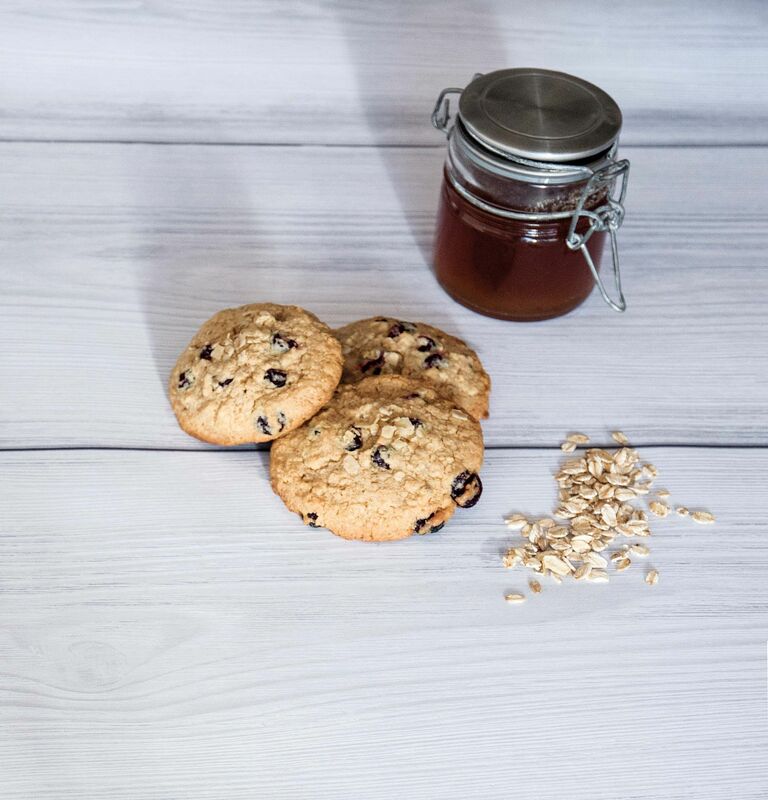 Still, by making slight changes during preparation, you can also conjure up a variety of crisp or crunchy cookies for your customers. Typically, the cookies are formed into “discs”. 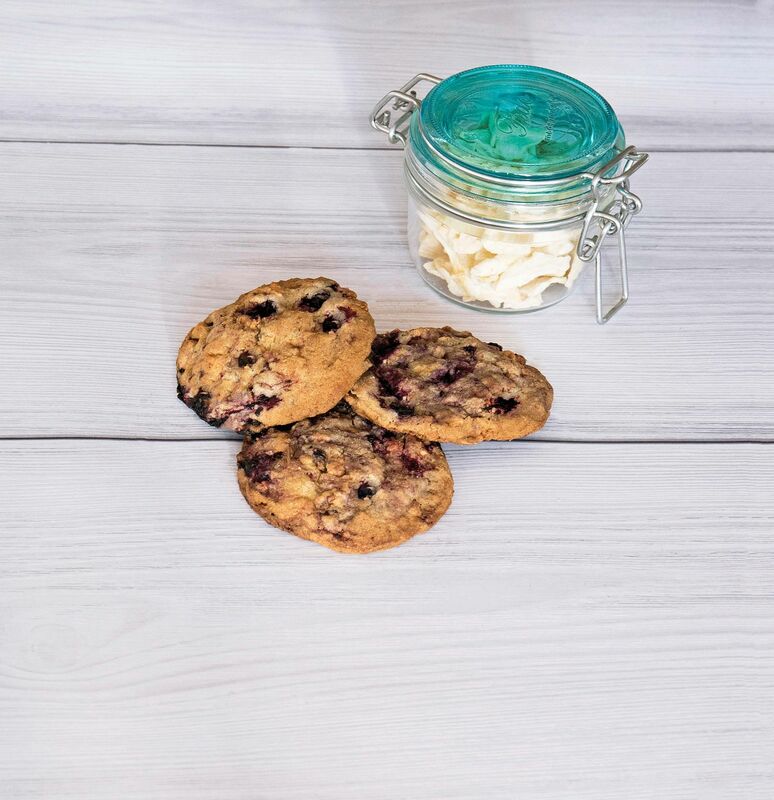 During baking, the dough separates slightly, giving the cookies their characteristic surface cracks. Even in this country, these cookies are very popular, not least because of their great multiplicity. 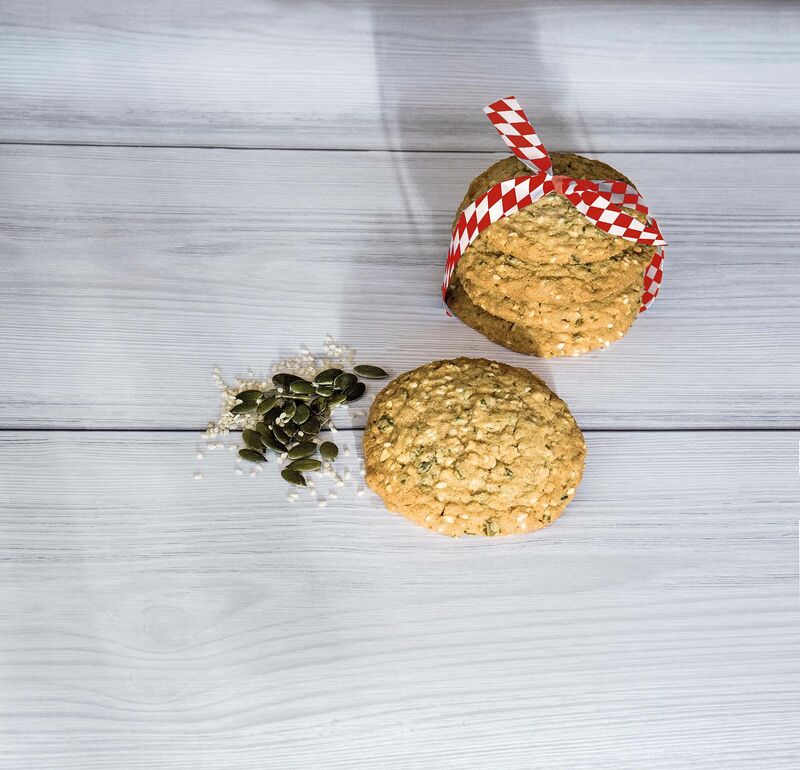 There are almost no limits to the wealth of ideas for creating individualised cookies, as backaldrin master confectioner Petra Preinfalk knows. Working with her team, she created ten variations. 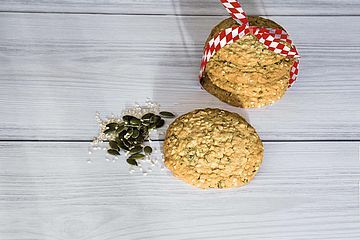 “Styrian-style Cookies”, containing pumpkin seeds and the eponymous oil, can be found in the new cookie collection, alongside “Blueberry” and “Vital Cookies”. Petra Preinfalk’s favourite is the “Chili-Choc” combination, with its soft and juicy centre. 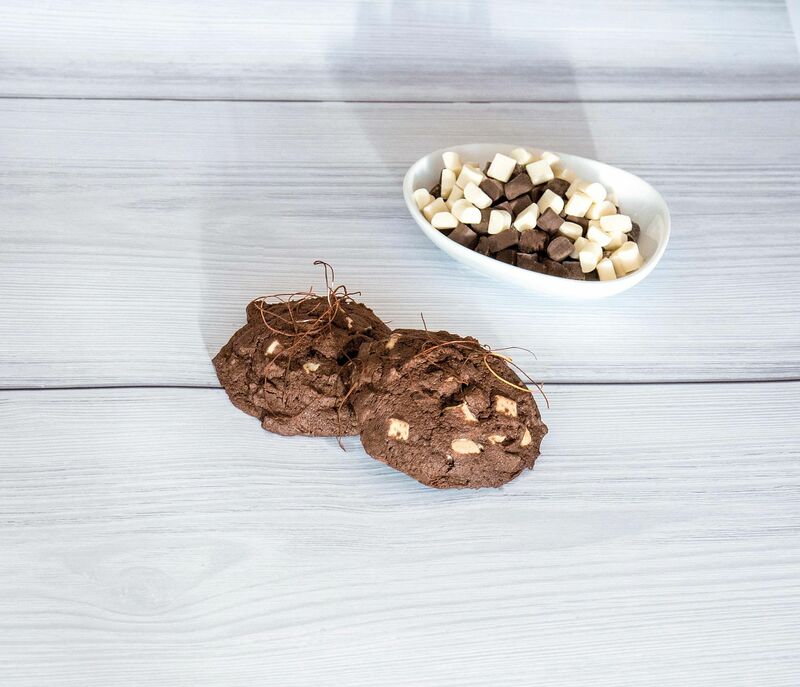 Those who like it particularly chewy will love the “Coco-Choc” cookies, the “chewiest” cookies of the lot. The firmness of the butter or baking margarine is crucial to the typical surface cracking. If you are handling your dough with an ice cream scoop, I recommend room temperature (22 °C). When shaping into rolls (see tip), it is best to use butter or margarine straight from the refrigerator (6 °C). 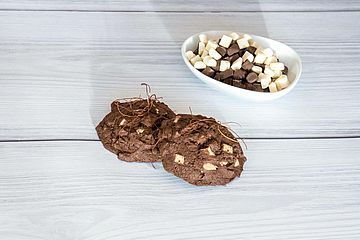 Add chocolate drops, nuts and other ingredients and mix in manually during the last 30 seconds of the indicated mixing time. In this way, you can be sure that the drops etc. do not discolour the mixture. The typical colour contrasts in many of the recipes are a feast for your customers’ eyes. When you bake the American Cookies direct from frozen, they will have a softer centre. Always bake without steam, otherwise the typical cracks will disappear. 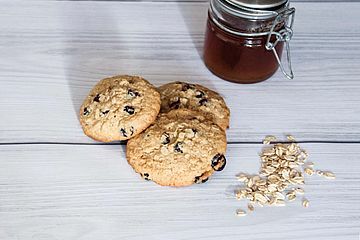 If you have the feeling that your American Cookies need an additional minute or two of baking time, it is the right time to take them out of the oven. This also makes them nice and soft. … and as packaged products. The shelf life of the popular biscuits depends on the choice of ingredients. 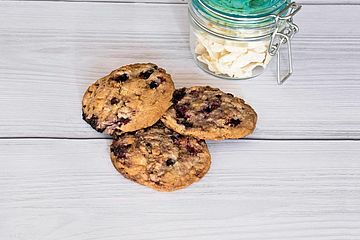 The basic recipe and all American Cookie variations can be found using the online baking consultancy. Go for it!